Running is a simple exercise one can do primarily to lose weight. 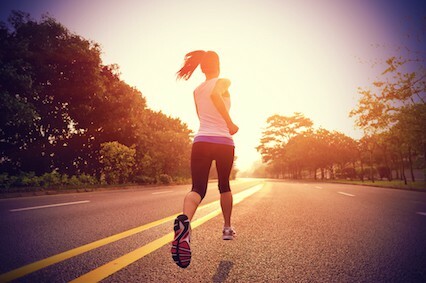 But do you know that running has more benefits to offer to strengthen and solidify our body? Aside from fighting the battle for obesity, running has a lot to offer when it comes to health. It helps us fight diseases like osteoporosis, diabetes and hypertension. It also is the best alternative treatment for high blood pressure and reduces the risk of heart attacks. Another health benefit is that it creates increased concentration of white blood cells which prevents the attack of diseases. It also increases the amount of good cholesterol in our body which decreases the chances of acquiring blood clots which could then lead to hemorrhage. Aging or retaining the younger look and perfect shape of our body is another benefit that one can get from running. By merely sitting without doing something, we risk our bones and muscle to weaken and make us look older. Running is said to increase the amount of human growth hormones in our body. These growth hormones are by the way the same as the injections taken by celebrities to make them look younger through the years of their career. Running is also said to build confidence and self-esteem. It is said that with each stride one makes in running, it lets you feel the freedom to let you think that your legs are strong and very capable of making more steps and more distance. It also makes one more confident seeing oneself losing weight and looking very much physically fit than before. Running can also be a form of stress relief. It allows you to think out or escape from problems for a period of time while doing it. This may also allow an individual to think out problems and allow one to catch out answers while on it. This has also long been proven that it can treat patients having any sort of addiction and depression as it allows the patients to set focus on something else instead of tension, depression and their addiction state. Coordination is another benefit that one can get out of running. This is because in running one can encounter many obstacles which allow the body to coordinate to surpass it. Persons who run regularly acquire a sense of body balance and coordination preventing them not to trip, slip and stumble easily while running. Another benefit that running can give is focus and determination. While running, it helps one to focus on the obstacles and tackle all challenges all the way from start to your finish line. It makes one focus on goals and allow to take each step to finish what was started. The run’s that you fail to finish strengthens your mind and body to focus on another part of your life.